Noordam spends Australia’s warmer months exploring the islands, towns and cities of Australia and the South Pacific, with itineraries designed to be longer multi-country discoveries or broken down into smaller segments for those just wanting a bit of a getaway. Noordam cruises in the South Pacific include fantastic in-depth island escapes. If you’re looking just to bask in an island paradise you’ll want to pick a cruise of up to 16 nights while longer South Pacific cruises will integrate their island adventures with visits to other parts of Australia, New Zealand and even other international ports. Noordam has also introduced itineraries visiting Papua New Guinea to their scheduling, however with limited departure dates on offer, these cruises are likely to book out quickly! 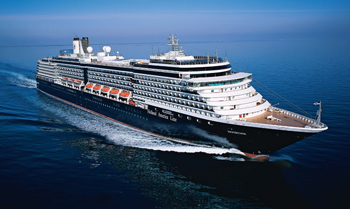 Noordam has a fantastic repertoire of cruises to New Zealand. If you’re only looking to discover the secrets of the land of the long white cloud, look for cruises of up to 17 nights duration, which may include a port or two in Australia in conjunction with those in New Zealand. 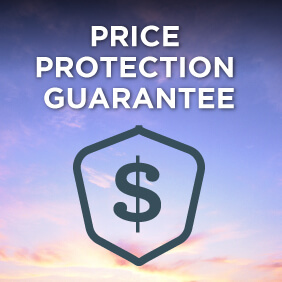 There are cruises of up to 40 nights that include New Zealand in it’s schedule, but these will also take you to islands in the South Pacific or even all the way to Vancouver. Once in Vancouver, Noordam embarks on a season of cruises through Alaska. These cruises are mostly 7 nights in duration and depart from either Vancouver or Seward. 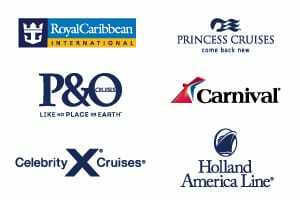 View all Noordam cruises, view a selection of Holland America cruise deals, or view more options for Holland America cruises. Named for the Northern compass point, Noordam features museum-quality art such as an oil painting of the city of Utrecht painted in 1842, as well as contemporary art like the series of photographs of music greats Dizzy Gillespie and B.B. King. Enjoy onboard cooking shows and hands-on workshops in partnership with America’s Test Kitchen. Learn how to edit, display and share your vacation videos and photographs through our Digital Workshop powered by Windows®. Explore the wonders of our world through exclusive BBC Earth natural history content through onboard activities, concerts and films. Swing and sway in the BB King Blues club and at the fantastic shows presented by Lincoln Centre Stage. The Piano Bar invites you to socialize with your friends and fellow guests while enjoying live music. Sophisticated interior design, plush leather sofas and armchairs, and an amazing collection of photographs create the perfect setting for engaging in some lively conversation over a few cocktails. Organic lines blend with varied textures against a rich color backdrop in the Pinnacle Bar, creating a sophisticated aura that lends itself beautifully to an evening spent enjoying innovative cocktails, tantalizing light fare, and lively conversation with your friends and fellow guests. Enjoy cocktails and ocean views while listening to live music in our luxurious Ocean Bar. Younger guests are warmly welcomed on board. Our tranquil Asian-inspired spa is a haven of luxurious beauty salon and spa treatments, featuring thermal pools, heated ceramic lounges and treatment rooms facing the sea. Digital Workshop powered by Windows, offers fun, free and informative technology advice and instruction. These small-group sessions, designed for all abilities, are conducted by our Microsoft-trained “Techsperts” who translate the latest technology into useful tips everyone can use. For a perfectly grilled burger on brioche, gourmet hot dog, crispy French fries or a taco bar with all the fixings, there’s nothing better than alfresco dining by the pool at Dive-In at the Terrace Grill. Look for imaginative toppings and sauces to enliven classic burgers and dogs, along with veggie-friendly and healthier options, all included in your cruise fare.